due to daily coffee intake, tobacco, lots of chilli and curry, etc. & it made my teeth really..ew. 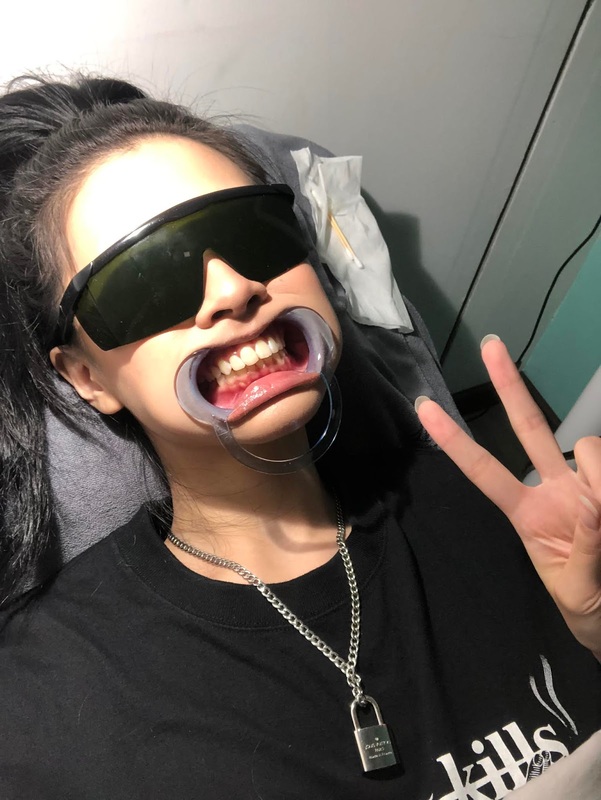 I have had braces before, imagine how I used to had a set of almost perfect teeth, but as I grow older, I really care less, & this made me smile less too.. It's was pretty sad. 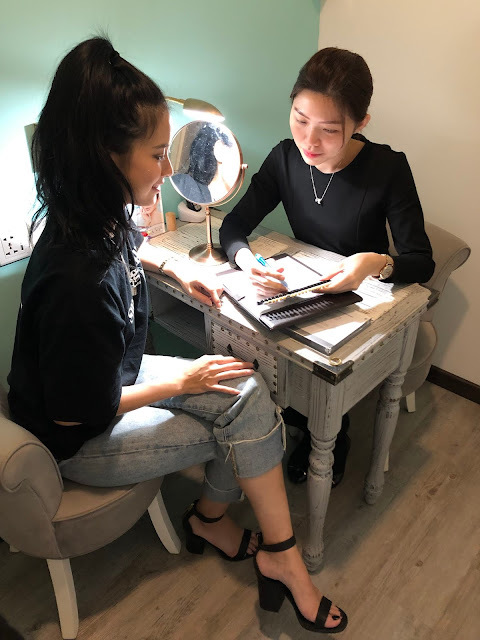 Recently, La Vie Aesthetics Singapore contacted me & of course I was thrilled that I might finally be able to smile properly again! 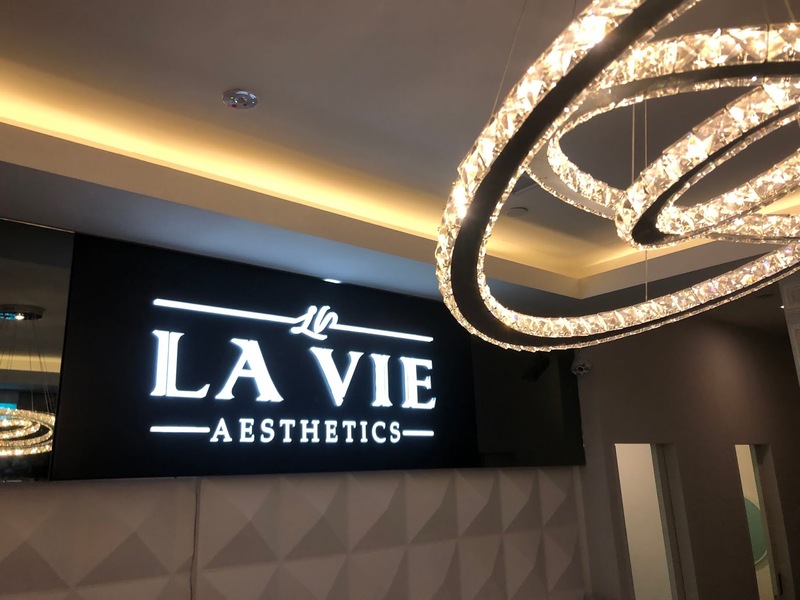 La Vie Aesthetics is located in Orchard Gateway, what a great location for everyone to travel to. 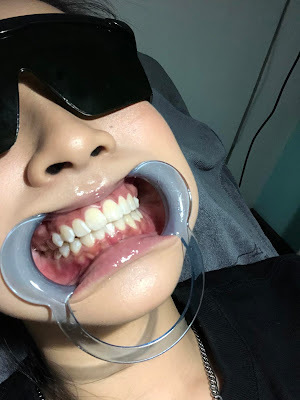 We went into the consultation room where the consultant ask me a few questions and went through what we will doing for the SparkleSmile teeth whitening treatment..
- other places they use gel with peroxide, that is a lot stronger, and it also harms the teeth causing it to be sensitive. 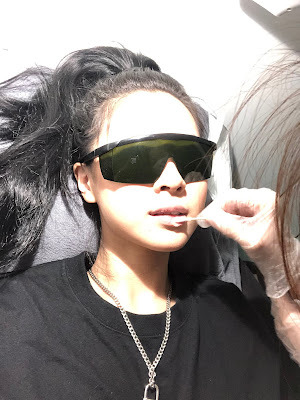 - also, it's a non-invasive treatment, with no heat/needles/drilling during the procedure, purely just gel & light, that made me feel even more comfortable. I definitely don't want to be under any pain! They will be utilising a blue LED teeth whitening technology that activates the gel that helps whiten the teeth and remove any stains/discolourations. 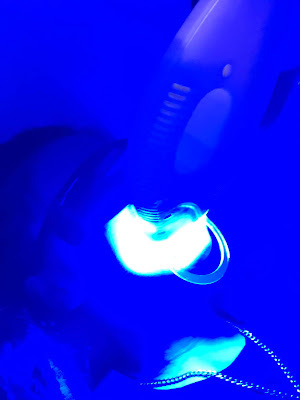 and I read on their site that you can experience up to 8 shades lighter in just 1 session! what??!? I'm even more excited. 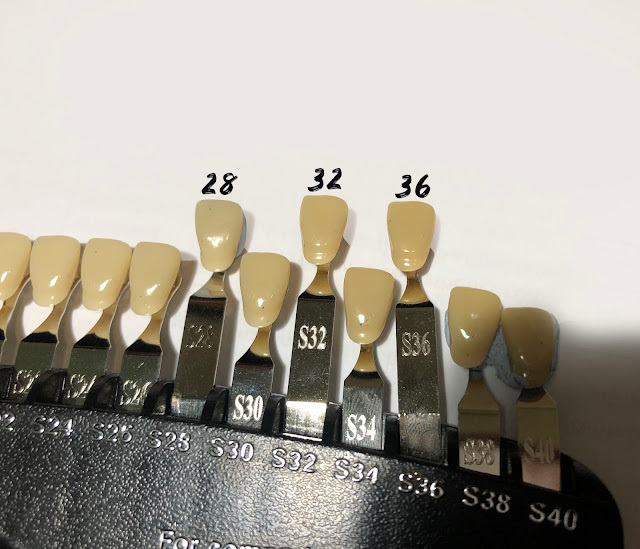 After going through the process, the consultant then note down my current shade of both my upper and lower teeth for the front center and sides..
Hey it's not that bad in real life, it just look really bad because of the white base/background!! First up, The consultant brought me to the treatment room (it's a pretty small room). I actually love it eh.. It looks like a great accessory for a cool outfit. Nothing fancy, it was just a normal day having a mouth guard in me mouth..
She then applied gum protector to prevent the whitening gel from hurting them..
15mins under the blue LED light..
My consultant went ahead to remove the gel with a cotton bud & repeat the procedure once more..
after removing the gel > add new gel > 15mins under the LED light..
After the treatment, I brushed my teeth once more to get rid of any leftover gel.. 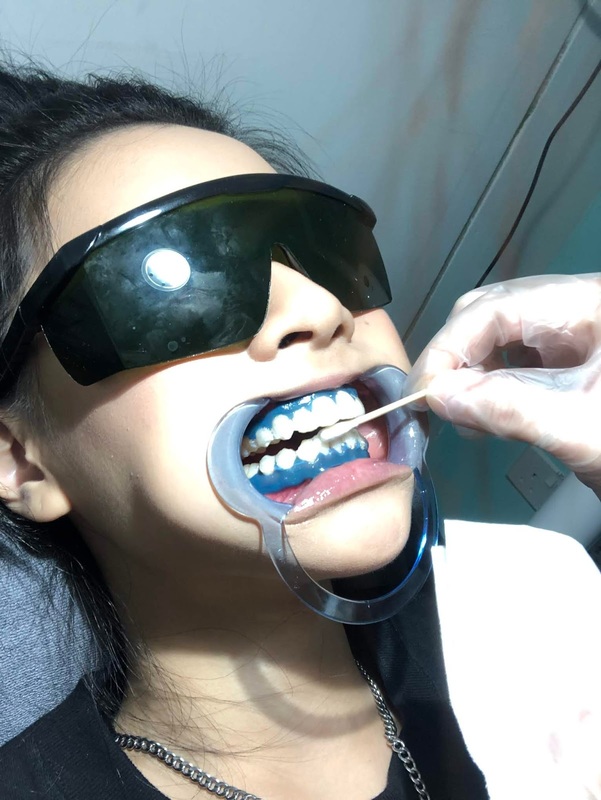 I then went back into the consultation room & she 'measured' the shade of my teeth after the procedure and OH..MY..GOSH..
they all decreased! 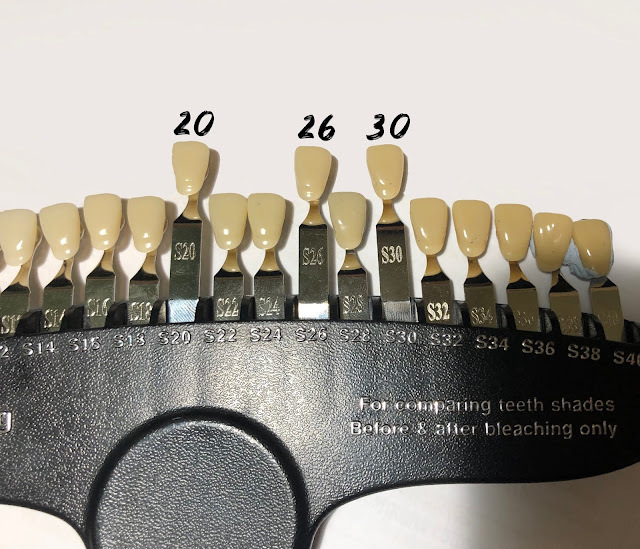 oh I meant became lighter..
My front set of teeth actually decreased by 8 shades! 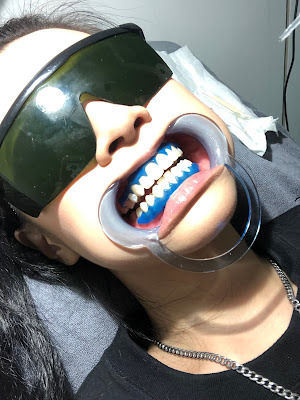 This is the comparison side by side, it's not huge, but it's definitely an improvement in just 1 session..
Can't wait for my next session already, hopefully I will have pearly white teeth soon! 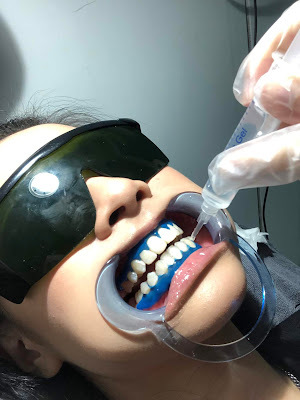 Ohyes, because the gel it's non-peroxide and does not harm your teeth (compared to the ones you get with peroxide that cause you teeth to be really sensitive), you're able to go back in a few weeks to further whiten and afterward maintenance, helps to get SparkleSmile teeth even sooner! Thank you La Vie Aesthetics for helping me to have the confidence to smile again! Feel free to contact them to get to know more about the SparkleSmile Teeth Treatment! 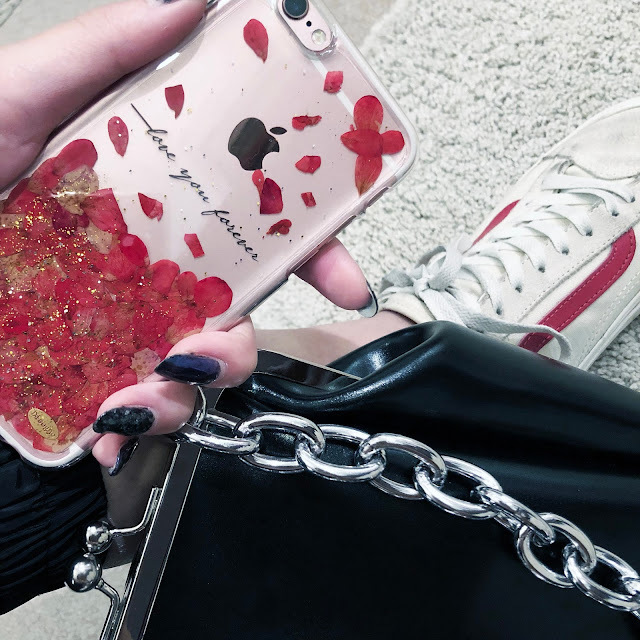 Valentines Day is coming.. & not sure what to get? 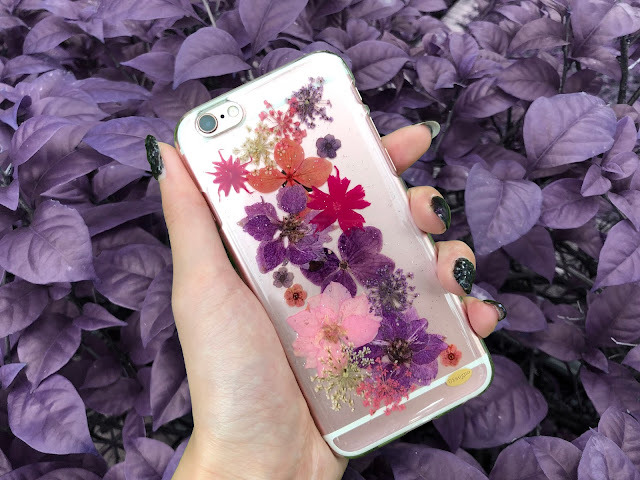 If you're a nature-lover, you will definitely love this! making the world a happier place to live in..
Get ready to meet over 10,000 brilliant designs over at their site! Christine from Disegno, the lady behind these beautiful cases made it so out-of-the-ordinary by utilising real dry flowers to create such an artistic yet nature-friendly designs.. 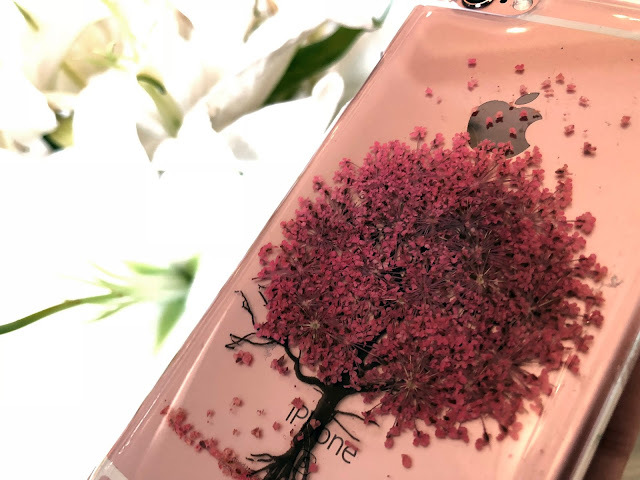 The Disegno Pressed Real Dry Flowers are covered with a transparent glass-like clear resin, & this shows the different layer of the design, bringing out the 3D effect of the casing.. There are a total of 16 unique designs, each case has its own name from the 'Spirits of Nature', how cool it that?? So if you can't decide on what designs to go for, try making your decision by looking through their names, & check out what suit you best! The flowers are specially hand-picked and put together by Christine & a few skilled artisans making it extra special.. Since its real flowers, & the flowers grow differently in shape, size & colour.. 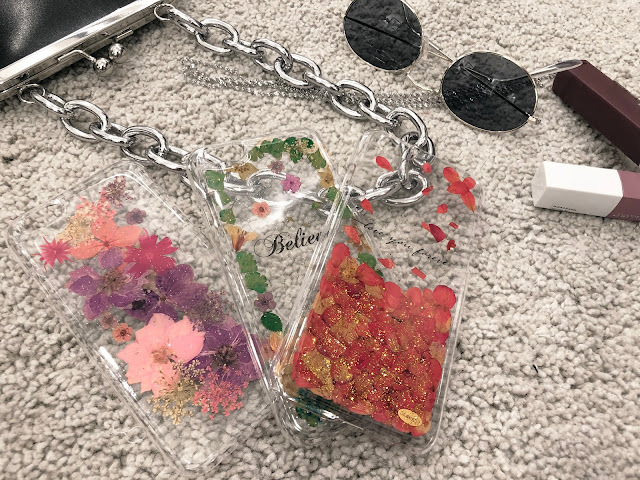 There will be no 2 casings that will look identical.. & that's the beauty of these phone cases. It will definitely be a great gift to give your family and friends! 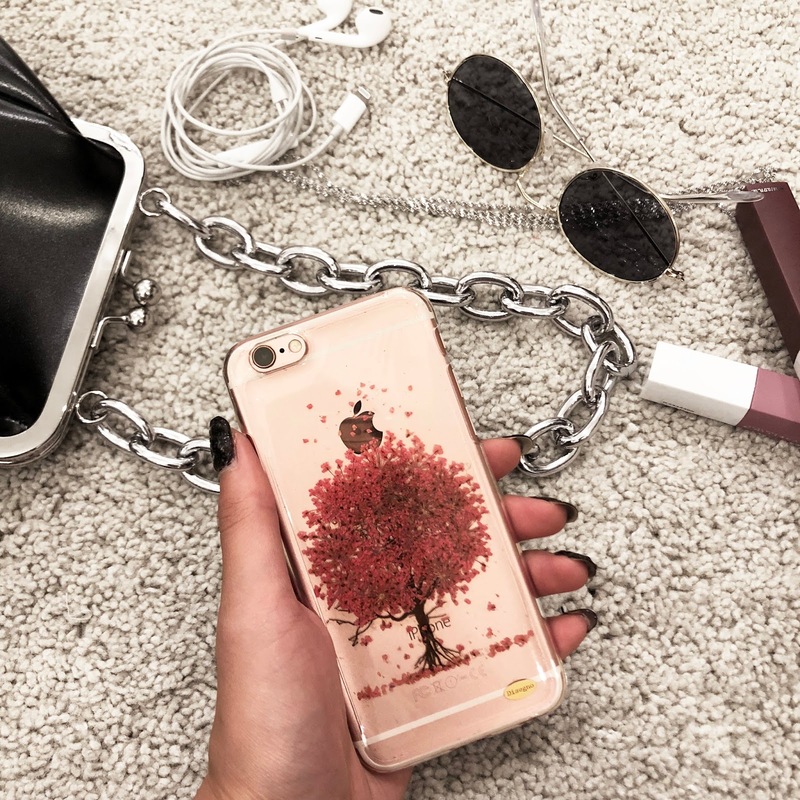 It's available for iPhone 5 to iPhone 7+! 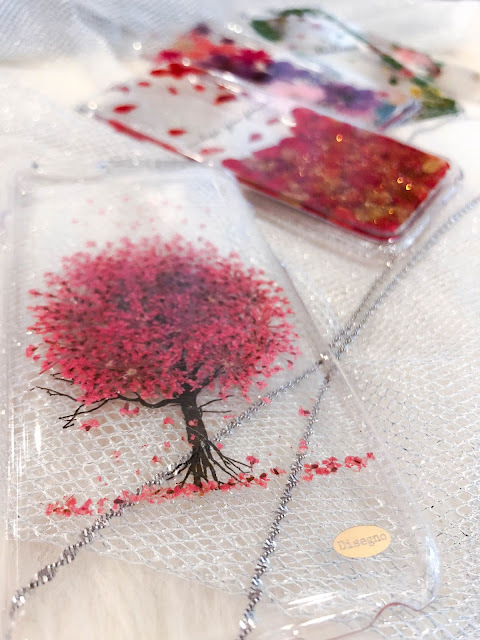 FOXIDEA not only offers these beautiful cases, they also carry creative products or should I say awesome inventions to make your life more interesting! 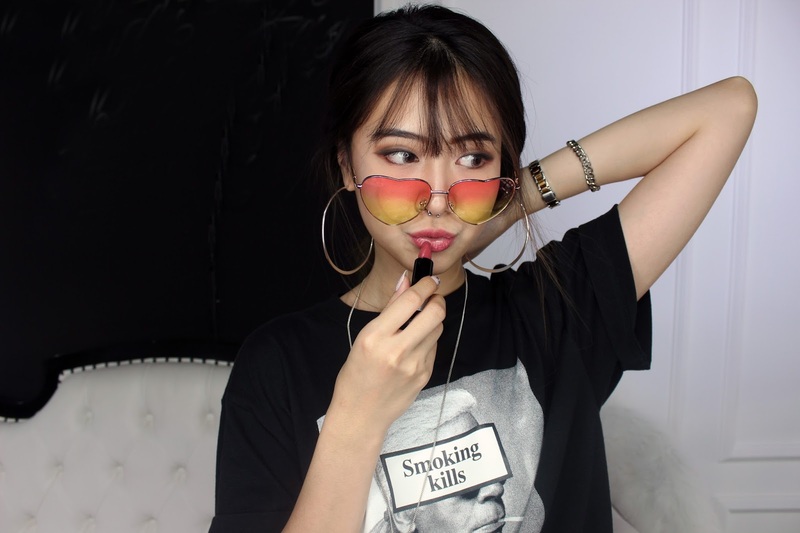 Zeng the Face: Cherie's Personal choice of makeup. Whenever I head out with my friends, or just out & about to town, etc. I will always have makeup on. I want to look good! & having makeup on give me an extra boost of confidence..
tried more & more makeup products to 'upgrade' my look. It's not easy for me to achieve simple yet pretty eye makeup for me because I have single eyelids, & yet still want to look like I have huge beautiful eyes. I love trying out new products, & see what works for me. 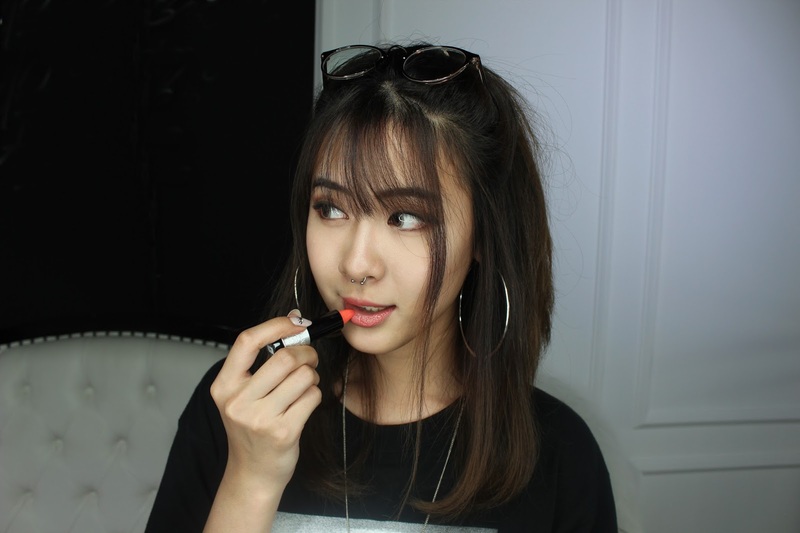 I use tons of drugstore makeups because they work well & of course it's very affordable! I never ever splurge on makeup products because I don't find a need to. The only time I really spend on makeup products are to give it as a gift to my girlfriends. & companies that sent me products to try out! but I will never opt out from cleansing my face. It's very important to cleanse it well before you start applying anything on your face!!! Don't let the dirt build up within those layers of makeup! Since my secondary school days (sec3?) I've started using concealer to conceal my eyebags.. I regretted though.. Like I was so young back then & started using makeup already? But well, the generation now? nah it's fine for a secondary school student to put full makeup. 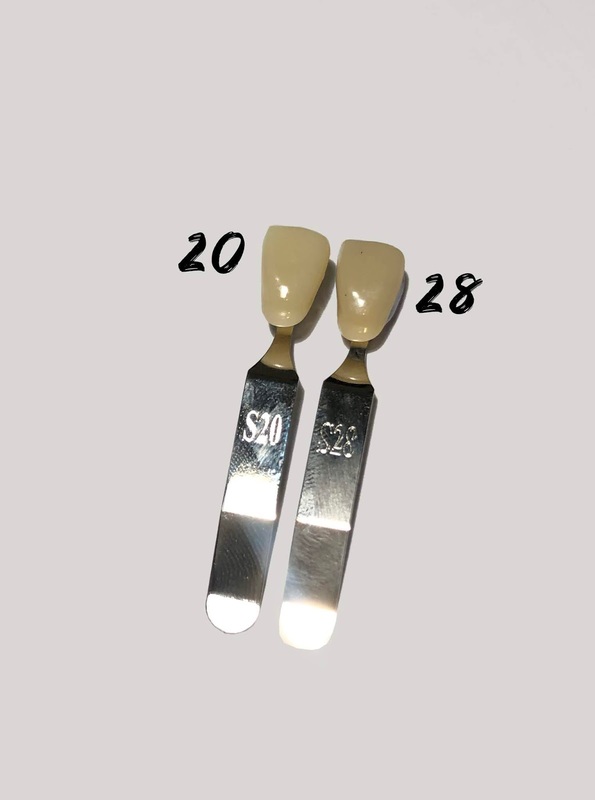 I have tried many types/brands of concealers, but until now I have not found the perfect one for me. But I have been using ZA's Perfect Fit Concealer for quite a few times, I guess this is my 3rd tube? in between those I've tried others, so I don't only stick with this.. However, for this MeNow Pro Foundation, I really like it! I use it as concealer/contour. I never heard of this brand before (sorry not sorry), I just thought the combination of colours works for like a daily makeup (I'm also able to mix different colours just to fit my skin tone), and because it's cream base, it means more coverage? so I just got it. & wow. I love it! It's already hitting the pan, so I probably need to get a new one or find something new to replace it. Since I have really chubby cheeks, I really spam contour products! Instead of just using dark cream foundation to contour my face, I use contour powder to enhance it even more. Contouring not only gives you the illusion of smaller face, it also define your features too! So here I'm using MeNow Pro 3 colour foundation (dark brown) & Maybelline's V-Face Blush Contour (Brown) along the hollows of the cheek & the chin..
so I have no choice but to ensure that my face look as matte as possible.. It's time for the eyes! Probably the most important part of my face, & the longest time I spent on when I do my makeup. Does your eyes makeup last all day? I love to have my eye makeup really dark & heavy, & I love experimenting with different colours, but not brave enough to go all neon & bright. Here I'm using Urban Decay New Eyeshadow Palette, NAKED HEAT! For the base I used 'sauced', one of the lighter shade in the NAKED HEAT palette, so that when I stack darker colours on top, it will blend with my skin, & it would not look like I just got punched on my eye..
Next, I used 'he devil' to darken the corner of the eyes. Using a shimmer colour, 'ounce', for the center of the lids, and the inner corner of the eyes to brighten my eyes. Lining my eyes is the probably the most important step to makeup routine because again, I have SINGLE EYELIDS, & it's the only makeup product that really make me look awake!! I draw my liners really thick so that it gives an illusion of bigger eyes. I die for pencil eyeliners, because it's easier to draw thick lines, & it glides smoothly across the lids (provided you use the correct pencil). Silky Girl Long-wearing Eyeliner in Black Brown is probably the eyeliner I always get, because it's DARN CHEAP, & work wonders for me! I don't usually go for solid black because it will look too harsh. Many friends come to me & wonder how my eyeliner last all day without smudging or disappear. I use eyeshadow on top of my liner! It's like applying powder on top of concealer/foundation! I use the shade 'Triple Fudge' in the Too Faced Chocolate Bar to go over my eyeliner to make it last the entire day & it would not budge a single bit. Not forgetting the lower lash line, applied Urban Decay's 24/7 Glide-on Eye Pencil in Alkaline to match my eye shadow..
An eye makeup will never be complete without giving the lashes some attention. Every girl would love to have long & luscious lashes, but for me, I have really thin & sparse lashes.. If I do not have lash extensions, I literally spam layers & layers of mascaras. & The Falsies for my bottom lashes. I sweep off the translucent powder.. 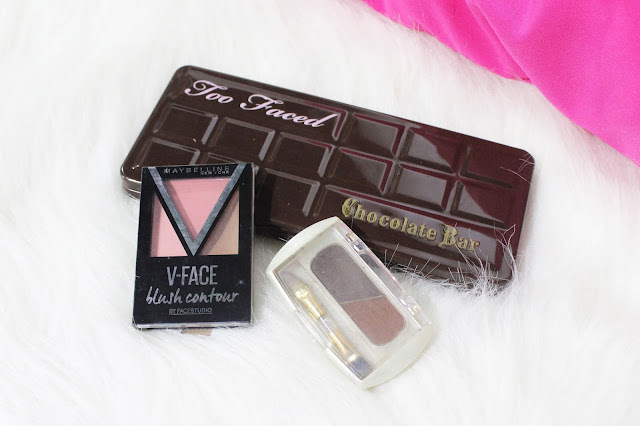 Using Maybelline's V-Face Blush contour kit (Pink) for my cheeks. Back to the Too Faced Chocolate Bar palette, 'Champagne Truffle' is the way to go to highlight the cheekbones, nose bridge, cupid's bow & the chin! Followed by Daiso's Brow powder kit to contour my nose, to make 'em look smaller & sharper. Last but definitely not the least..
who care's about the rule, I'm just gonna go bold for everything.. 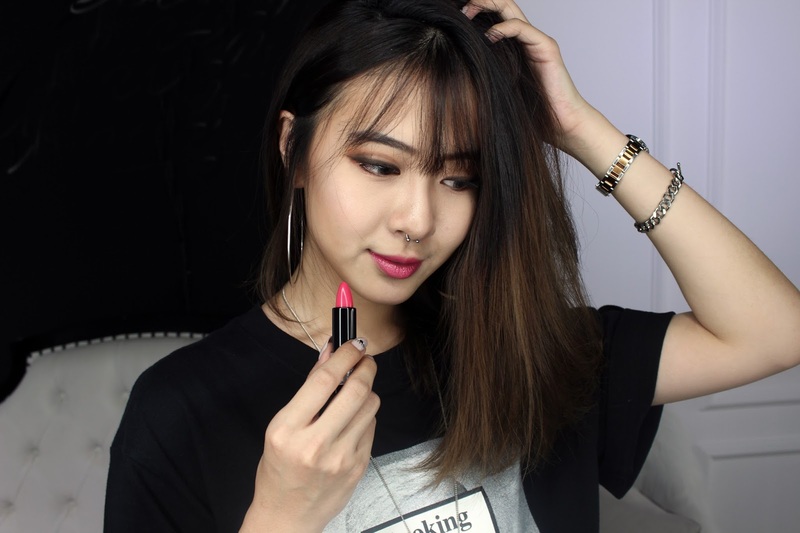 Using my all-time favourite lipstick, Kat Von D Studded Kiss Lipstick in HOMEGIRL! & here is the makeup look! It doesn't look too overpowering yet still fancy enough to go wherever whenever. Something more girly, but not too much..
How about something more family friendly..
& maybe something flirty but not too seductive..
because you're you, no one else can take that away from you.